Y’all know we’re big Georgia Dawgs fans here at Pretty Southern, so we’re excited to share Matt Stafford’s Wedding Video – filmed by the fabulous Elysium Productions! Matt Stafford married longtime girlfriend Kelly Hall on April 4, 2015. The wedding ceremony and reception took place at The Foundry at Puritan Mill in Atlanta. 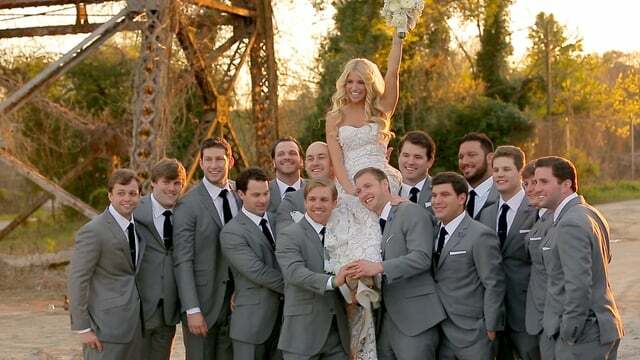 Here’s an intimate look at Mr. & Mrs. Matt Stafford’s big day in Atlanta.